China’s Cosco Shipping has been hit by ransomware that disrupted its systems in the United States. One of the world’s largest shipping and logistics company, the company said its “local email and network telephone cannot work properly” as it has “shut down the connections with other regions for further investigations” into this cyberattack. So far, all the vessels of our company are operating as normal, and our main business operation systems are performing stably. We are glad to inform you that we have taken effective measures. Except for above regions affected by the network problem, the business operation within all other regions will be recovered very soon. The business operations in the affected regions are still being carried out, and we are trying best to make a full and quick recovery. We will keep you updated of the latest progress through various channels. Cosco hasn’t mentioned the nature of the cyberattack calling it a “network breakdown,” however, several reports have suggested that it was a ransomware attack. The attack impacts the company’s website (cosco-usa.com), phone and email systems, and WAN and VPN gateways. Kevin Beaumont, a security researcher, tweeted that the company has had to resort to using Twitter and Yahoo accounts for communications. Cosco’s cyberattack follows the massive attack on Maersk last year that cost the shipping giant up to $300 million. The company CEO had said that they had to reinstall over 4,000 servers, 45,000 PCs, and 2500 applications after they were hit by the NotPetya ransomware. At this point, it is hard to say if the attack on Cosco is on the similar level or not. 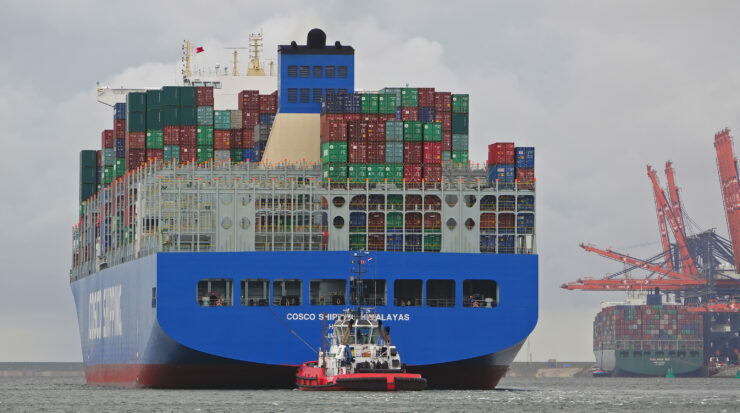 However, considering it is taking quite a long time for the company to get its systems up and running again, it wouldn’t be surprising if Cosco becomes another shipping giant falling into the hands of ransomware.